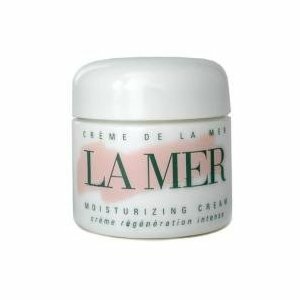 La Mer Creme de la Mer is a face cream designed to make skin firmer, softer and even out the driest of complexions. Some users of La Mer's cream have described it as a "Miracle broth". Others say they saw dramatic results in the reduction of dark circles and a increase in skin elasticity. The accident that would lead to La Mer "Miracle broth"
About forty years ago, a aerospace physicist called Dr. Max Huber suffered a horrific accident when a routine experiment exploded in his face, leaving him with severe chemical burns. Neither science nor medicine could offer sufficient promise for help, so Dr. Huber decided to help himself. Twelve years and thousands of experiments later- "La Mer was born." Difficulty with the directions of using the "Miracle Broth"
There are some that use La Mer Creme da le Mer who have had difficulties in using the cream. It has specific instructions on how to use it so it will work effectively. So this is how it's done- place an amount (about the size of 1-2 peas) into the center of your palm then very vigorously rub your hands together. The cream will liquify, becoming a clear liquid, then it is ready to spread onto the face. Customers who haven't done this will not see the same effects as those who have, says La Mer. Seaweed (Algae) Extract, Mineral Oil (Paraffinum Liquidum),Petrolatum: occlusive, Glycerin: humectant, Isohexadecane: thickening agent and emulsifier, Citrus Aurantifolia (Lime) Extract,Microcrystalline Wax (Cera Microcristallina): thickening agent, Lanolin Alcohol: emollient, very closely resembles your skin's natural oils, Sesamum Indicum (Sesame) Seed Oil: emolllient, can be irritating to those with very sensitive skin, Eucalyptus Globules (Eucalyptus) Leaf Oil: thought to have anti-bacterial or anti-viral properties on the skin, Magnesium Sulfate, Sesamum Indicum (Sesame) Seeds: Sesame oil is anemolllient, can be irritating to those with very sensitive skin, Alcohol Denat: Denaturized alcohol, Fragrance. Personally I would expect miracles from this cream as it retails from $130(1oz)-$230(2oz).